Use more inspiration and less perspiration. Working smarter, not harder by following hara hachi bu. 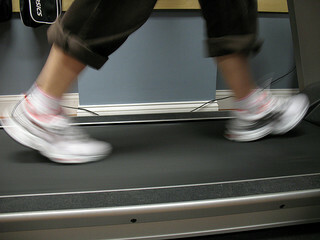 Does it feel like the treadmill is stuck on high sometimes? Family, school, work, repeat, right? Burnout and exhaustion are real medical problems, and are much more complicated than simply being tired. Concentration can suffer, guilt can grow, relationships can fail, and life can be shortened. Yes, the stress of burnout can take a toll on vital organs and wear them out faster. The residents of the tiny island of Okinawa have a longer than average lifespan, and also have an amazingly high number of residents that reach their 100th birthdays. Why do Okinawans live so long? While the literal meaning does refer to calorie control (a hallmark of the long-lived) the principle can also been applied to mental intake and brain stimulation. Indulging in too much food can be fixed by pushing the plate away sooner. Keeping the brain from being over-stuffed requires a bit more strategy. Daily meditation – just sit still with your eyes closed for 10 minutes each day. Focus on only a few big things each day – tackling too much in one day will drain the gas tank completely. Know when to say when – don’t overreach even if you’re in the zone. Don’t do another 20 miles, even if you think you can. Be grateful for what you have – stay in the moment with people and experiences. Also do as many random acts of generosity as you can. Just breathe – close the laptop and fill up your lungs – completely – with the sweet air around you. Pace yourself – it’s a 100-year marathon. Reduce portions to control the waistband. And reduce busyness in order to control your brain and give it the much needed regular rest it needs to work better and longer.